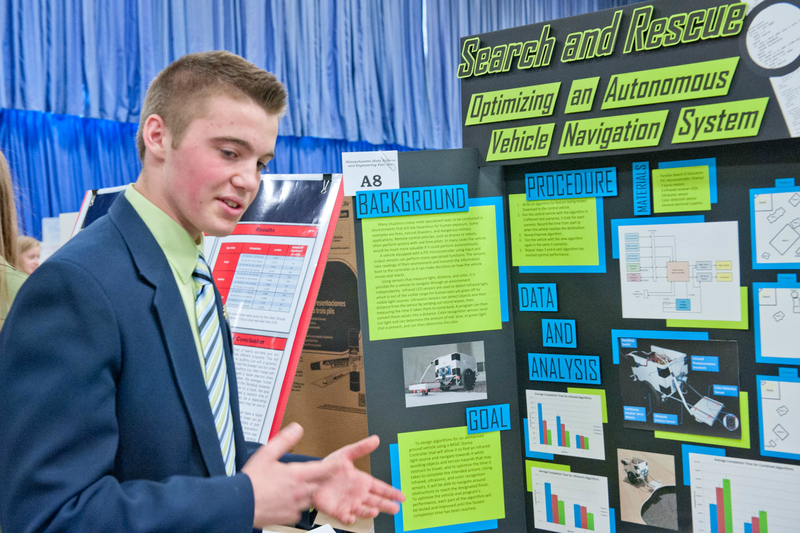 The Massachusetts High School Science & Engineering Fair is an experience that lasts a lifetime. Through a science fair program at your high school, you can follow your natural curiosity about the world and explore "real world" science and engineering problems that really interest you! The MA High School Science & Engineering Fair is open to students from all public, private and parochial schools (grades 9-12) throughout the Massachusetts. The Massachusetts Middle School Science & Engineering Fair is a forum for students in grades 6-8 to explore "real world" science and engineering discovery through hands-on experience. Students also learn about the many exciting and emerging fields of science and technology today, building important life skills-- from reading, writing and math to communications, teamwork and design. All Massachusetts’ students in the 6th, 7th, and 8th grades are eligible to enter the MA middle school science fair.